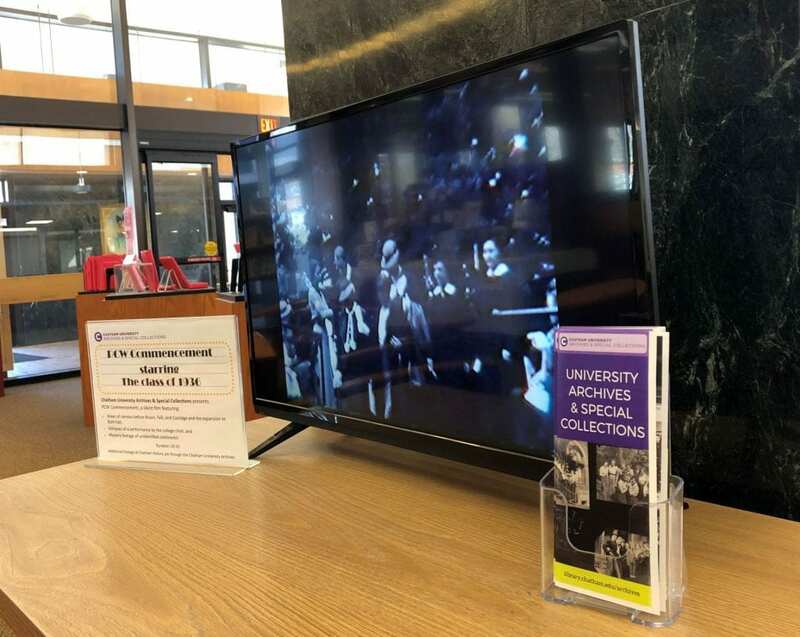 Walking around the JKM Library, you may have noticed a curious video running on a loop in the JKM Library near the Popular Books table. Or perhaps, you’ve only heard about the interesting video and are worried about missing out? Fear not! We’re happy to share the clips of the video so that off-campus community members, alums, and the general public can enjoy it as much as students, staff, and patrons who frequent the JKM Library. Ready? The video is one of several that the University Archives & Special Collections digitized recently as part of its preservation program. The Archives works with local specialists equipped with film ovens (used to warm decaying film before running it through players) and all sorts of reformatting equipment to create preservation-quality, digital versions of footage on obsolete formats. The Archives is continually working to make more material available and we have plans to preserve more archival films in the coming months. Stay tuned! Part 1 of the film features footage of the 1936 Commencement ceremony, the oldest known footage in the Archives. Running just over two minutes and with no sound, the footage shows graduates filing into the ceremony area between Laughlin and Buhl Halls. At the time, Laughlin was a library and Buhl had yet to be expanded to the size we know today. The film shows the college glee club performing under the direction of Earl B. Collins, audience members watching from the windows in Buhl Hall, and a view of the audience seated above the ceremony area. The program from the 1936 commencement that lists the names of the graduates, the commencement speaker, and other details from the day can be viewed as part of Chatham’s Commencement Programs online collection. Click here for the 1936 Commencement program. The second half of the film, which runs just under one minute, is a bit of a mystery. The footage appears to show Arthur Braun, then President of the Board of Trustees, as well as Dean Mary Marks. However, the rest of the individuals are—as yet—unidentified. Any ideas? Additional audio and video material from the Chatham University Archives is accessible online from the Historical Film Collection (click here) and the Historical Audio Collection (click here). Researchers and those interested in seeing additional material are encouraged to reach out to the Chatham University Archives here. Even more material is available for viewing pleasure on the Archives Facebook (@chathamarchives) and Instagram (@chathamarchives), where we’re posting as part of the 150th anniversary of Chatham’s founding with #150Throwbacks. Meet JK Mellon, Bookdrop Monster! Meet Chatham’s newest monster friend, JK Mellon! Born at the Eden Hall campus, JK now lives a happy life at the library, where it feeds on returned library items. 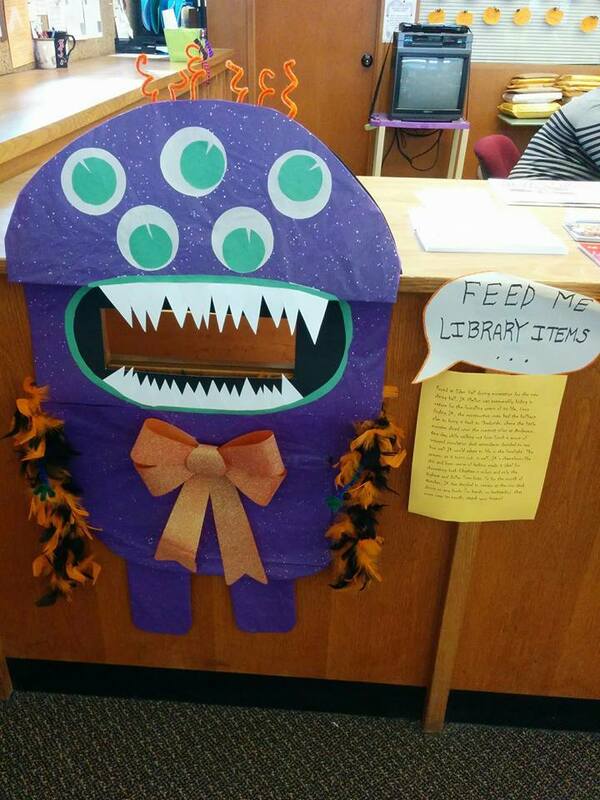 Library Access Services Aides, Cheyenne, Delenn, and Sophie, created this lovable creature in celebration of the autumn and Halloween season. Come stop by and see JK Mellon for yourself, take your picture with it, feed it the library items you need to return, and give us any suggestions about future decorations! What do you do here at The Jennie King Mellon Library? I’m a part-time Reference Associate. I worked in higher education since graduating from college myself and I love the atmosphere of a college campus! I’ve also always loved the atmosphere in libraries (thanks to my mom who was a teacher and volunteered at our local library) so when I decided to go to graduate school I chose Library Science. An architect! Then I realized a lot of math was involved so I gave that idea up – but I do still love looking at houses and I still have many of the floor plans (likely completely unrealistic) that I dreamed up as a kid. Helping people realize all the great resources (for work, school, and for fun) that the library has. If you could do one thing to change/improve the JKM Library- with no worries about time or expense, what would you do? I am 100% on board with having a library cat. Also, I think it’s a great idea to have a jigsaw puzzle out for people to work on when they need a break from studying! I like taking a run outside on a nice day or fitting in some yoga if I have time. I’m also taking French classes now and I actually enjoy doing the homework because it’s something I’m doing just for fun. I love reading (obviously), baking (and eating), and hiking. I also love to travel so I’m usually planning a trip (that may or may not happen). I’m almost always reading more than two books at a time – two I recently finished are Mosquitoland by David Arnold (great!) 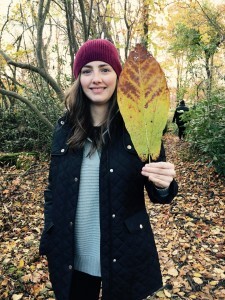 and Ways to Disappear by Idra Novey (the main character is from Pittsburgh – Shadyside is mentioned once or twice) and I also check out a lot of French language movies – the last one I watched was Ernest & Celestine (lovely and cute). What book do you think everyone should read? Why? This is a hard question!! But the first thing that comes to mind is Sweetland by Michael Crummey. I read this book more than a year ago and I still think about it and it’s characters regularly. Some characters just stick with you, as if they were real people you knew. But I just thought of something else I’d recommend too – anything by James Michener. He writes long sagas based around a specific geographic region. Some might find his books a little dry and boring but I love them – my favorite is Chesapeake. When I finish one of his books I feel like I intimately know a place and its history even if I’ve never been there (ahem … Hawaii). Some of our student workers update the popular reading display and are always looking for recommendations. If you could please list 5 or so of your favorite books that JKM has, that would be great! What’s your favorite thing about living in Pittsburgh? The landscape, hills, rivers – and the neighborhoods. I am a bit of a jigsaw puzzle expert. I love clothes and fashion but HATE shopping. I got my nose pierced about 5 years before I got my ears pierced. In fact, I only got my ears pierced because my friends thought it was weird that my nose was pierced but not my ears and took me to get them done! The Library will close at 5pm this Friday, August 28 so that the carpets in the building can be cleaned. Regular hours will resume on Saturday. The JKM Library, including the 24/7 study space, will be closed all day this Monday, August 10 due to a planned power outage. IM us at JennieRef, or use the chat box on our website. Please note that this power outage includes most campus classroom buildings and all computer labs. 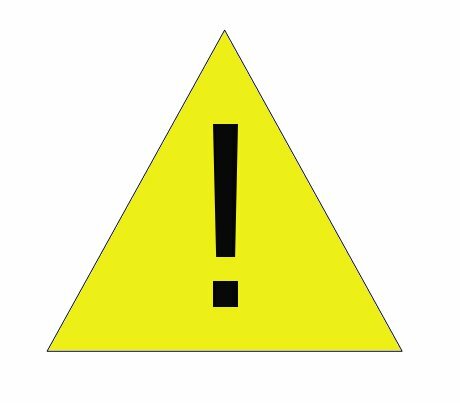 We have checked with IT, and it is extremely unlikely that any lab space or printers will be available for student use on Monday. If you need computer or printer access, please make sure to do so off-campus or get everything done the day before. The JKM Library is commemorating LGBT History Month during October with a book display of items from the collection. Come into the library to check out one of these great titles on lesbian, gay, bisexual, and transgender history and culture. Popular and documentary films are also available. ILLiad will be down from 10 a.m. to noon this coming Tuesday, Sept. 30th for an upgrade. During this time, you will be unable to request materials through ILLiad or retrieve ones that have arrived. However, as soon as the upgrade is complete, access will be restored.